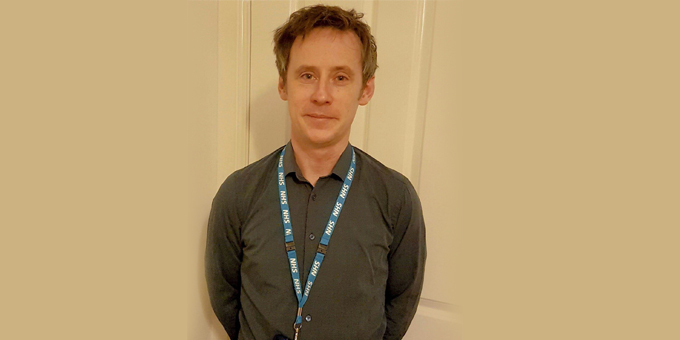 Kieran Quirke, an A&E Psychiatric Liaison Nurse at Kings College Hospital talks to Karen Hooper on working with Solidarity in a Crisis peer support service. KH: How does it feel to be introducing people to Solidarity in a Crisis peer support service when they present at A&E: it’s a different way of working? KQ: It is refreshing in that it’s possible to offer people something very different to the usual services available. Often the patients we are referring are those who would mostly not require urgent support (such as admission or home treatment teams); we might be referring on to counselling, GPs or other support services, or even Community Mental Health Teams(CMHT), but in many cases there may be a delay before the person is actually seen. Solidarity appears to be able to offer an informal fast, responsive and positive emotional support to people and are filling a much needed gap in service provision. KH: How has it been liaising with staff and peer supporters from Certitude/Solidarity in a Crisis? KQ: I have had little contact in person with staff beyond meeting someone who came to A&E to provide us with some cards to give to patients, but staff have provided feedback in a few cases and this has been really nice to hear – in Liaison work you get used to not knowing on the most part what happens next in the lives of the people you see, so hearing positive results is always appreciated! KH: Do you know how many people you have referred ? Are they people known to services or ‘new’ people? What sort of crises are they having? KQ: I think in the region of 15-20; they have been a mix of known and unknown patients and presenting with a variety of crises, though a general feature in common is a sense of isolation and loneliness and often other additional social or circumstantial issues which have been exacerbating their low mood and anxiety. KH: What do you have to know from people to be sure it’s an option you can offer them – issues around risk perhaps, does this change the thinking on this… to be able to explore crisis in a different way perhaps? KQ: We have a range of services and options we can offer to patients depending on their presentations and what we are able to offer is often dependent on level of risk. As with other community treatment options we need to be able to have a sense that the patient can keep themselves safe at home, that they are capable of seeking help if further crises occur (using telephone helplines or returning to A&E for example) and given that the Solidarity staff may be meeting with them in person it is important to get a clear picture of the patient’s forensic history and whether there is any history or current ideas of harming others. Having Solidarity as a referral option does not change the way we look at risk but it does add another level of options often for patients who may have very chronic problems but might not have needs severe enough to warrant the involvement of secondary mental health services – though I think Solidarity can also fill a very important role in supporting people in the initial few days post attendance if they are awaiting a referral to secondary services. KH: Do you think crisis can be cathartic? KQ: Yes – in that for some people the process of simply attending A&E and speaking with someone (and sometimes revealing aspects of themselves or their lives they have never shared with anyone else) can be cathartic, though many of the people we see in A&E have complex and deep-rooted traumas which (in the context of the brief contact we have in Emergency Departments) require more of an emphasis on containment at the point we see them; for example it would be potentially dangerous to encourage a patient to share details of specific traumas they have experienced as part of a one-off assessment, and it may be the clinician’s role to explain this and guide them towards follow-up treatment in which this type of catharsis can occur safely. KH: Have you had feedback from people you have referred? KQ: Unfortunately not directly – the majority of people we see in A&E are isolated attendances so we do not have any follow-up. I have been informed once or twice by staff from Certitude how people have engaged though, and this has been very positive to hear. KH: Can you tell me a little bit about yourself and your work thus far? KQ: I qualified as a Psychiatric Nurse 15 years ago and have worked across a range of areas. I initially worked in addictions at the South London & Maudsley and Bethlem hospitals before starting work in the Westminster area, where I held posts at Great Chapel Street Medical Centre in Soho – as a clinical nurse specialist working with the homeless – and briefly at the London School of Economics supporting students with mental health difficulties. In 2010 I began work in Psychological Medicine at St Mary’s Hospital in Paddington and then moved to King’s last year to work on a year long project to introduce a triage role to the Psychiatric Liaison Team here. Moyosore Obisanya, Solidarity Project Manager: The A&E peer support team is currently made up of 3 peer supporters (Charlie Wright, Stephanie Bennett Fraser and Rosetie Kafeero). They are based at 107 Railton Road, where we have our other community projects including the Connect and Do space and Community Connecting. We receive referrals via email from the Psychiatric Liaison teams at Kings College and Lewisham hospitals. Upon receiving a referral, the team will make contact with the peers and meet with them in the community Monday-Friday between 12-6pm at a mutually agreed place. The team provides emotional and listening support in the community over 2-3 sessions and signpost or support individuals to access long term support. This includes access to other peer related activities, voluntary organisations and health professionals. When people are supported in the day, they are encouraged to contact the out of hours crisis line in the evenings and over the weekend if they require support. If peers give their permission, peer supporters on the crisis line will also contact individuals during those hours if they require support. Solidarity in a Crisis phone line operates Mon – Fri, 6pm- 12am and Sat and Sun – 12pm – 12am.